Halsbury wins 'Best Food & Learning Experience at the School Travel Awards! 'Tell Me More! Check out our tips on promoting your trip.Find out how! The power of school trips! 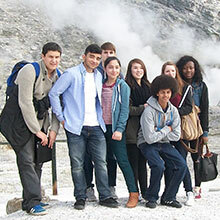 Find out how a Halsbury school trip can benefit you and your students.Tell me more! Find out how we'll support you every step of the way on your school trip journey.Tell me more! Established in 1986, Halsbury Travel is a friendly, family-run school tour operator that specialises in tailor-made school trips abroad. With several former teachers in our midst, we understand from first-hand experience the pressures put on teachers when organising school trips abroad. Whether you would like to arrange a school day trip, or a long-haul tour, our experienced School Travel Advisers will work closely with you to create a tailor-made itinerary that will inspire your pupils and bring your subject to life. With over 30 years’ experience in arranging school trips to destinations across Europe and worldwide, when you book your school trip abroad with Halsbury, you can rest assured that you are in the safe hands of experts. Risk AssesmentDo you know ? 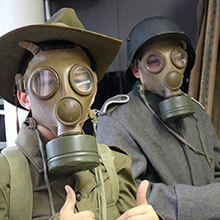 5 quick answers here about risk assessments for school trips and study tours. 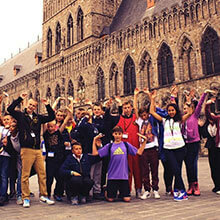 Money saving tips for school trips Want to keep the cost down for your next school trip abroad? 5 great tips here. Support while you're awayOur highly trained staff are equipped with a wealth of experience to assist you throughout your trip. 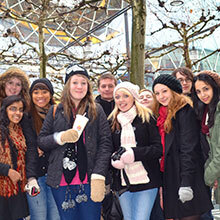 Teaching outside the classroom Need ideas for bringing your school trip back into the classroom? Teaching ideas for study tours.